This one is by the talented Buggbooz of Buggy's retreat. 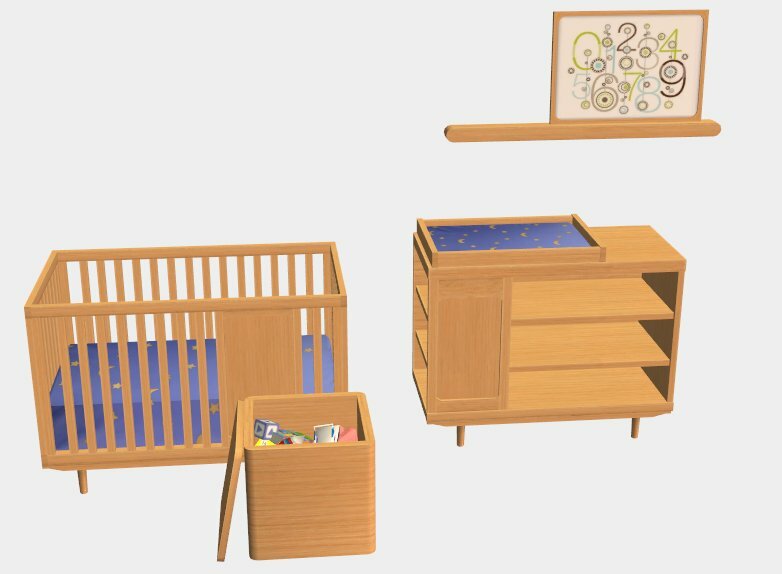 The Crib and Change mat were linked to a bedding included in the crib. 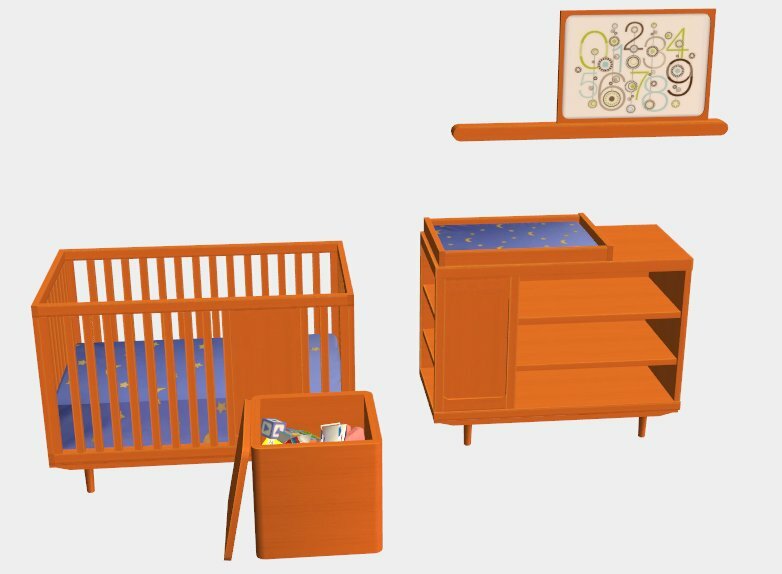 The Dresser, Crib, Change Mat, Toybox and Shelf are linked to the Crib. 1. 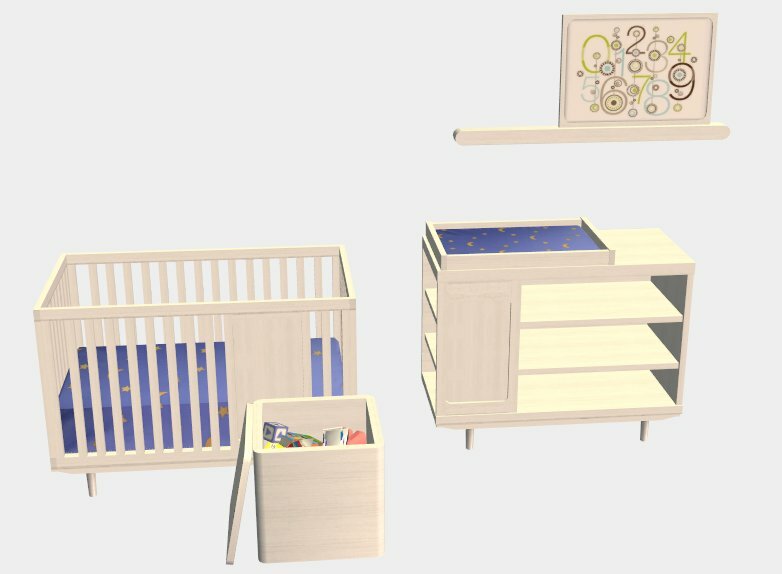 If you want to only link it to the EA Cribbing, and don't care that you lose the Buggy's cribbing - then select the DEFAULT version below. 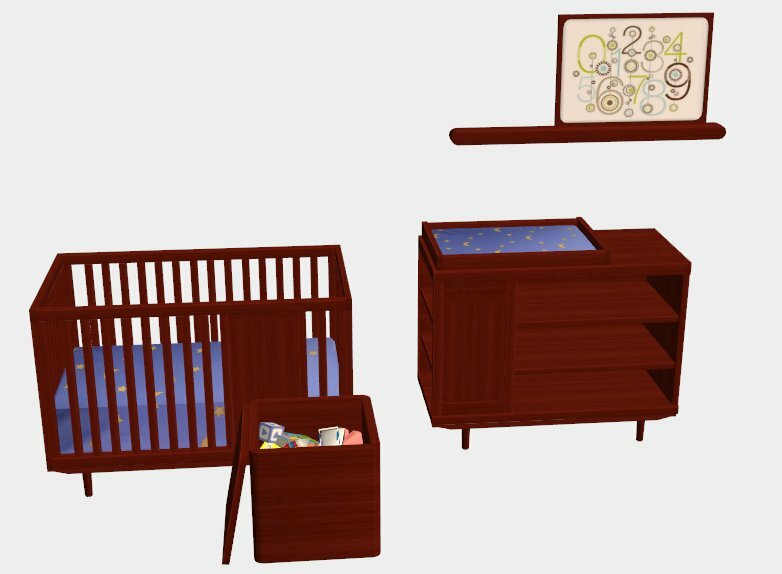 Remove the original Crib and Change table from the set. 2. If you want to keep Buggy's Cribbing, then select the NON-DEFAULT version below. It links the cribbing to the EA cribbing, but refers the frame back to the original and has a different GUID than the original so you can have both in game. 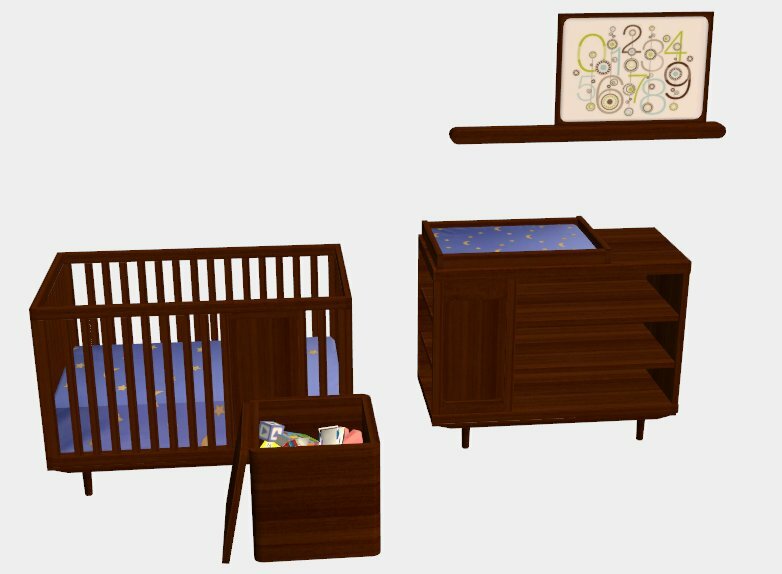 KEEP the Original Crib and Change table from the set. 3. 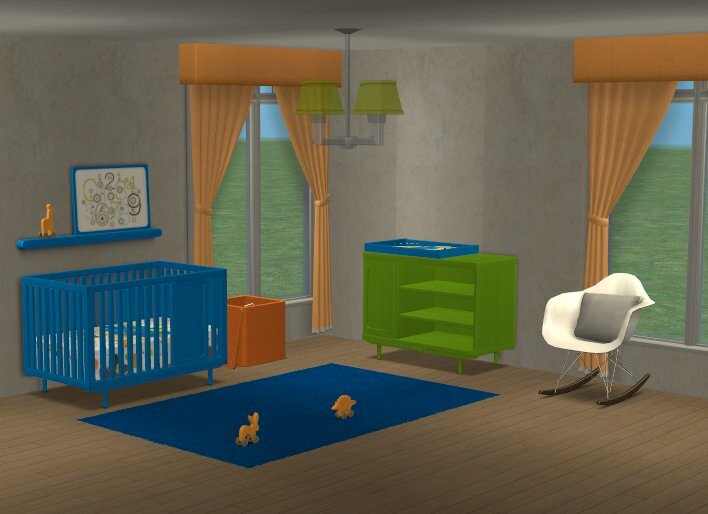 I have done 9 recolours - blue, black wood, lt AL wood, med AL wood, Dark AL Wood, Cherry, White, Green and Orange. Note - I have purposefully left off a decal on the front of the crib. This is so you don't have to have millions of the same colour with just decals. More about this tomorrow. 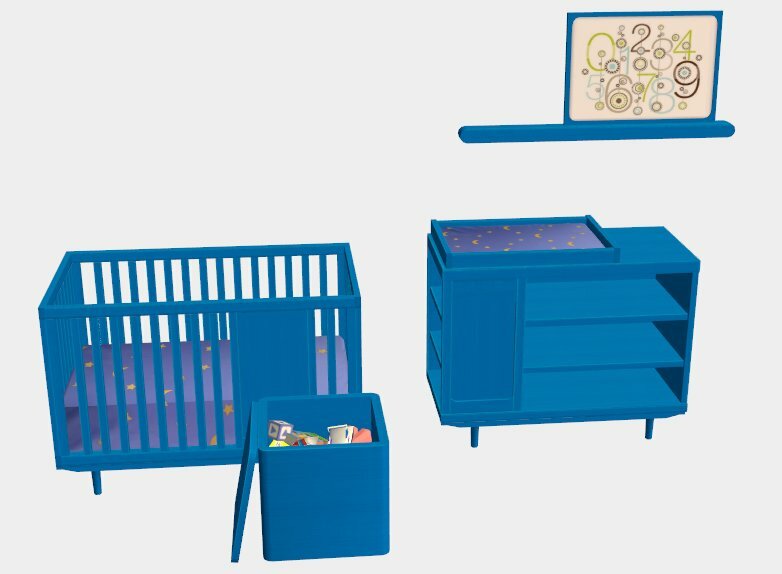 Because they now pick up any cribbing recolours and EA Cribbing - you now have infinite choices. And no extra files to add! You'll also notice that recolours (what I remembered this time!) has a 01 next to it. Yup. There's going to be more recolours. 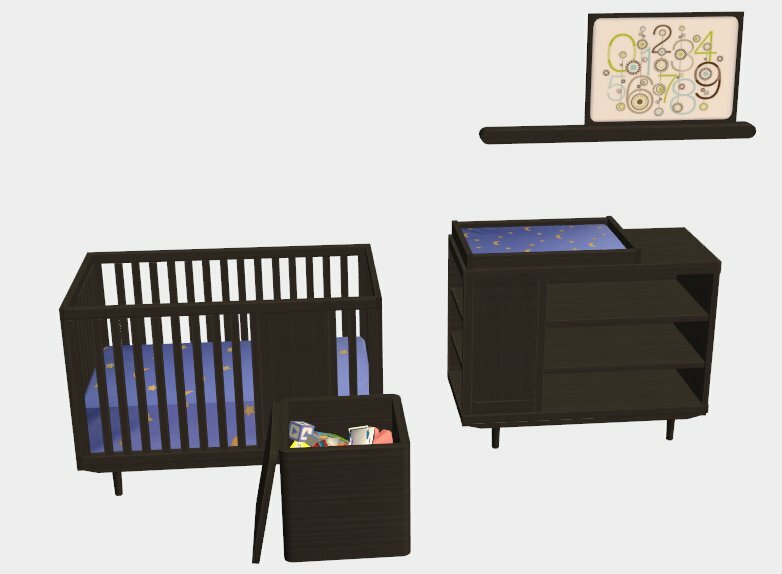 BuggyBooz for her beautiful contemporary nursery set. Natureskon Nursery Set on Tumblr by Kiri. And here I thought I had just about everything Buggybooz ever made, but somehow I'd missed this set. Thank you! And there's even more to come?! Yay! !